Next To Joe Albie Stadium And Is Located At 5701 N. Assembly St., Spokane, Wa. 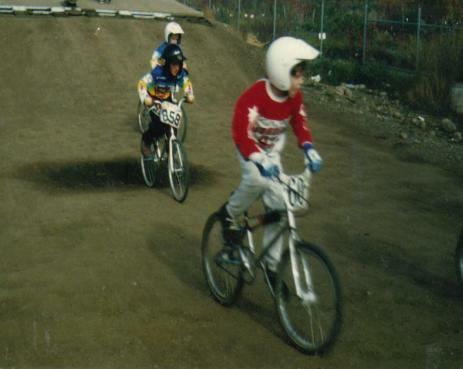 Spokane BMX Is An American Bicycle Association (ABA BMX) Sanctioned Track. For The Scoop, See The Spokane BMX News And Happings Listed On Down Below. Spokane`s Best Rock! Spokane`s Best Rock! * KHTQ FM 94.5 Rock. - You Can Listen To ( Streaming Feed ) Online. * FB Photos:- The ABA-USA BMX Lumberjack Nationals Sunday Highlights. * FB Live Video:- The ABA-USA BMX Lumberjack Nationals Sunday 04. * FB Live Video:- The ABA-USA BMX Lumberjack Nationals Sunday 03. * FB Live Video:- The ABA-USA BMX Lumberjack Nationals Sunday 02. * FB Live Video:- The ABA-USA BMX Lumberjack Nationals Sunday 01. * Report:- The ABA-USA BMX Lumberjack Nationals August 18th - 20th, 2017. * FB Photos:- The ABA-USA BMX Lumberjack Nationals Saturday Highlights. * FB Live Video:- The ABA-USA BMX Lumberjack Nationals Saturday 04. * FB Live Video:- The ABA-USA BMX Lumberjack Nationals Saturday 03. * FB Live Video:- The ABA-USA BMX Lumberjack Nationals Saturday 02. * FB Live Video:- The ABA-USA BMX Lumberjack Nationals Saturday 01. * FB Photos:- The ABA-USA BMX Lumberjack Nationals Friday Highlights. * Results:- The ABA-USA BMX Lumberjack Nationals August 18th - 20th, 2017. The ABA-USA BMX Lumberjack Nationals August 18th, 19th, 20th, 2017 Results. * Merkel Sports Complex To Host National BMX Race Event. overnight hotel stays, Sawyer says. * Spokane Host To National BMX Races This Weekend. Friday through Sunday, an event slated to attract over 2,000 participants from the U.S. and Canada. are expected in various skills and age divisions, ranging from toddlers to 50-year-old adults. * Guerrilla Bike Lane Appears In Spokane. engineer sprayed the lane down with light metallic paint around 6:30 p.m., according to one witness. The line follows the the previous lanes boundary, which is clearly visible. * UPDATE: Bike Stolen From Spokane Teen Who Died Last Year. Update: Lonnie Lopezs 17-year-old son died last year. And this past week his prized possession was stolen: A green bicycle. * BMX Bike Stolen From Spokane Teen Who Died Last Year. in there for all my kids, and this is the one bike you take? The bike that is non-replaceable. * Two Local Kids Competing In 2017 BMX World Championships. Two local kids are en route to South Carolina this week to compete in the BMX World Championships. of Spokane, and John Haynes of Coeur d Alene, there is nothing quite like riding your bike. * Police Look Into Possible Bike Chop Shop In Spokane. than here were people. There were enough to open up their own possibly illegal bike shop. people riding BMX bicycles said Officer Maplethorpe. * Spokane BMX Park Vandalized Over The Weekend. 17th. It is also the first incident to occur in the park’s seven-year history. * ABA-USA BMX Lumberjack Nationals Flyer. The ABA-USA BMX Lumberjack Nationals August 18th - 20th, 2017. 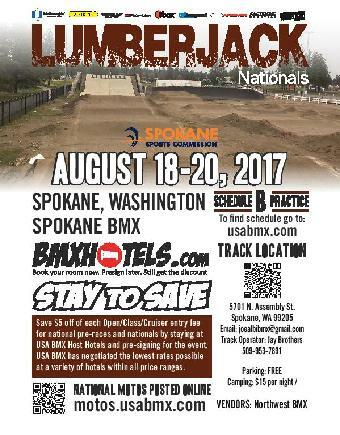 * Spokane BMX To Host The Lumberjack Nationals August 18-20, 2017. * Riverfront Park Hosts Strider Cup For Young Racers. of all ages and abilities, participated in the event. * Board Says No Contact Between Holyk And Patrol Car. * Strider Announces 2016 Toddler Race Series Dates. * City Begins Demolishing Under The Freeway Skate Park. 90 near South Browne Street, where vandalism and drug use prompted many visits from police. Transportation. The citys Park Board will decide on a location for a replacement skate park. * Years After MS Diagnosis, Former BMX Champ Remains True To Recreational Roots. Rows of shiny trophies perch on a shelf in an out-of-the way corner of Brenda Gildehaus home. she said. And bicycles in particular fascinated her. 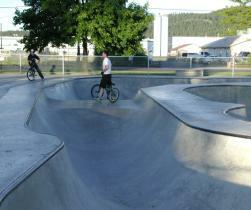 * Spokane Looks To Build New Skate Park To Replace Crime-Ridden Location. all the ruckus they want in any weather that comes. * Spokane Youth Sports Awards: Top Female Non-High School Athlete. some time to bring you the nominees for the Top Individual Female Non-High School athlete. Lizzy Bowers of BMX Spokane is carrying on a family tradition and finding success doing it. * Parks and Recreation Seeks Community Input For New Wheelpark. are invited and encouraged to attend. * Throwback Thursday BMX And Coffee. featuring freestyle BMX motivational speakers David Morris and Paul Balmer. David Morris is now a CEO of Dillanos Coffee Roasters, a 30 million dollar company. * No Charges Will Be Filed Against Spokane Valley Deputy In Holyk Case. to the right missing Holyk, but coming as close as one foot. * Whitman Elementary Student Making Waves As A BMX Rider. a select group of amateur BMX bikers who have won hundreds of district races. 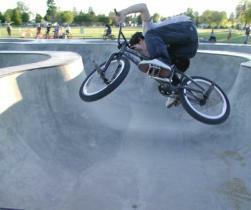 * Spokane Skate Park U.T.F. Could Get New Home. on the November 2014 ballot. Also See: Park Board suggests moving skateboarders. * Berger Family Talks BMX Olympic Day At Joe Albi BMX. to head down to the track to register this Saturday June 22nd, 2013 between 5:30 p.m.
from five and under to 60 and up. parties from 9AM until 4 PM on Saturday March 23rd and Sunday March 24th. Any help is appreciated, whether you can stay for 30 minutes or 7 hours. Trophy Buy-Back / Swap Meet event!! The event will go from 3:00 PM until late. (save $15 by signing up or renewing before April 1st). new or renewing members, $3 for current members not renewing). monthly meetings, and these are open to the public. an announcement will be forthcoming. season. Volunteers will be compensated for the time they put in. last year and continue to help as we move forward. We could not do it without you. 06/02/2012 - Joe Albi BMX Spokane Washington - Redline Cup Qualifier. 06/03/2012 - Joe Albi BMX Spokane Washington - Earned Double. 08/18/2012 - Joe Albi BMX Spokane Washington - Race For Life - Double. 08/19/2012 - Joe Albi BMX Spokane Washington - State Race - Double. Merkel Sports Complex in Northwest Spokane. the safety of the mechanism used to start BMX competitions. race last Wednesday, according to family and eyewitness reports. long, horizontal barrier to racers and drops quickly at start time. and his family. Our hearts go out to him and his family. Videos: Race for Life and State Championship Qualifier In Spokane, Washington. BMX In The Lead And Then.!! 39Y Old In Spokane, Washington. say that the travel to Spokane is to big of a gamble with not enuff information. my phone call. I could not find anymore information online but the July 16-17 dates. of gas prices so high. area its self asking us Gene`s BMX about the Spokane BMX events for this weekend. and a State Championship Qualifier to qualify for the state finals on 07/17/2011. That is all the known information that could be found online. Gene`s BMX has seen a high number of people asking for Spokane BMX information. as Spokane BMX Track does not have an official web site URL domain that we know of. We have not even seen an official ABA BMX mailer post card flyer about the events. Times And General Information About The Race For Life and State Race Events? Is all we do know are them official dates; July 16th and 17th, 2011 for the BMX events. No other official information to be found about them BMX events as of posted news date. Also: The Question - When Does The Spokane BMX Track Open To The Public? It was quoted by Spokane Parks and Rec in a video P.R. to be open to public by June? finding other places to ride BMX in Spokane due to lack of information about the track. track one of the best BMX facilities on the West Coast. Complex in the Facilities and Parks category. and Recreation for the City of Spokane. Nic And Derrik Biking In Spokane, Washington. that was behind the Rosaurs suppermarket in 1994 showing BMXers racing. When Does The Spokane BMX Track Open? Spokane and Spokane Parks web sites that is posted-listed below. information and contacts that we know of as of this news post date. Is There Some Other Place In Spokane To Ride BMX? or the Hillyard Skate Park or the Skate Park Under the Freeway. rules and regs that should be posted up at each of the Skate Parks. For BMX Street - places in Spokane, Its just as it sounds; The Streets. For BMX Dirt/Trail - places in Spokane, It is Unknown. spring took a heavy toll on the track. can sign up at the track on either of those days. Bring racks and shovels to help get the track ready. Mike Aho - Spokane Parks and Recreation. Quote:- Spokane Parks and Rec, Aaron Champagne, Reports BMX Track. They hope to have this facility open to the public by June thats there deadline. trying to make this a world class facility for all of you BMXers out there. the field conditions at the Dwight Merkel Sports Complex. YouTube Video by: Spokane Parks and Rec. At this time it is unknown of Spokane BMX opening date or its 2011 full schedule. Does Anyone Know When The Bike Track Opens For The Season? about 100 hours of work that we need volunteers for so we can open. and then open for public use around the middle of May. A BMXer riding at the Hillyard Skate Park in Spokane, WA. Spokane Wa. - Skateboard, BMX Bike, The New Progression. As of this report, we have not seen any reports about or from them events. No race results, No photos, No videos nothing has been seen and or herd of. We know the Spokane BMX Track is there but it sure is quiet for a new track. Is anyone from with in Spokane using the new track as recreational fun BMX? If so how many people show up at the new BMX track from day to day for fun? Spokane BMX Track sure is quiet. Spokane BMX 10I Class On Opening Day. CC - Spokane Parks & Recreation - Facebook. bikes. With public access from 1-7 p.m. daily, lots of time for everyone to enjoy. August 21st, 2010 - Registration Time - 3:00pm - 4:00pm | Single Point. September 04th, 2010 - Registration Time - 3:00pm - 4:00pm | Single Point. September 18th, 2010 - Registration Time - 3:00pm - 4:00pm | Single Point. October 02nd, 2010 - Registration Time - 3:00pm - 4:00pm | Single Point. October 16th, 2010 - Registration Time - 3:00pm - 4:00pm | Single Point. October 30th, 2010 - Registration Time - 3:00pm - 4:00pm | Single Point. The New Spokane BMX Track Is An ABA BMX Sanctioned Track. To Race You Must Sign Up With The American Bicycle Association. Getting Started In BMX Racing? The ABA BMX Has Put A ( Web Page ) Together To Help. Many thanks to all who came out for the Dwight Merkel Grand Opening Saturday! BMX track is open to the public as a Recreational ( non-racing) track? We are sorry but we do not know of a Spokane BMX Racing Schedule. If or when we know of one - we would be glad to share it with everyone..
Also - we do not know if the track is open to the public as Recreational. in Northwest Spokane has been more than a decade in the making. Erik Loney shows you around the Dwight Merkel Sports Complex. was open. Here are some BMX photos at the Spokane BMX Track. The Official Grand Opening is scheduled for this Saturday August 7th. with artificial turf, five softball diamonds, and a youth baseball field. opening is this Saturday, but some of its ready for people to use now. The city paid for this with a $43 million parks bonds in 2007.
for a soccer camp all this week. Photos Of The New JABMX BMX Track At Dwight Merkel Sports Complex. a day of activities at the new Dwight Merkel Sports Complex, 5701 N. Assembly St. Photos Of The New Skatepark At Dwight Merkel Sports Complex. size and scope of which is unlike anything Spokanes ever seen before. Albi Stadium and is a sports site like no other in the city. and lights and can double as football, lacrosse and rugby fields. Theres also a splash pad, a park a BMX track and a skate park. paid for by a sports bond approved by voters in 2007.
all over, its gonna be wonderful, Adriana said. demonstrations during the grand opening ceremonies. Spokane UTF Skate Park - Under I-90. Spokane Parks and Recreation is working on UTF (Under the Freeway) skatepark. Trying to clean up, redesign, rebuild and use this huge lighted and covered park. We are forming a user/interest group to help make it happen. A New Spokane BMX Web Site Launching Soon! Photos of the Spokane BMX Track Build. Pacific Northwest BMX Forums News Post: IE: ABA, Meeting, Opening. at 6:30PM At the Gloria Dei Lutheran Church 3307 W Rowan Ave.
What is going on at all them meetings? or PR from them meeting. Is all people can do is guess at this time. Filmed and rode BMX with Aaron, Sean, Richie, and Jared. Merkel Sports Complex. We look forward to seeing you August 7th. Come join in on the Family fun and help support Spokane BMX. The ABA BMX will be coming to town to get things rolling. that and would probably take a few days. the tower construction is scheduled for the week of July 12th. opening on August 1st, 2010. This is Terrific! should also be ready to view and walk on for opening day. For Investing In The Citys Young People And In Their Future! (The church is located directly North of Browne School). We will be going over the by laws, contracts and board configuration. be interested in the track. Thanks, Mike Aho - Recreation Supervisor 2, Spokane Parks and Recreation. Complex. Crews spent last year working on the voter-approved sports park. The $11 million project is set to open in August. at 6:30PM At the Browne Elementary School 5102 N Driscoll Blvd. Gene`s BMX Notes: A few e-mails asking what happend at the last few meetings? We do not know. No reports seen or herd. So who knows whats going on. signatures to show the City planners we care and support Joe Albi BMX." do not know what is going on? - Can someone please fill us all in ? meeting. So who knows whats going on. at 7:00PM At the Browne Elementary School 5102 N Driscoll Blvd. supporters and 1 city parks employee. Lots to talk about! Also check out the Spokane BMX Blog New logo. ** 01/23/2010 - Update Report Via: Spokane BMX Blog. * Great turnout, good questions -Thanks everyone! * The opening date is set for July Saturday, 31st / Aug 1st/weekend ~ 2010.
of 6 local supporters and 1 city parks employee. Next Meeting: Thursday, February 04th, 2010. - Please spread the word and feel free to bring friends and family to the next meeting. Photo - Soccer field and lighted BMX track in the distance. Photo by Spokane Parks and Recreation. 5102 Driscoll Blvd. at 6:30 pm. With guest, John David from the ABA BMX. of the new Joe Albi Stadium BMX track. this meeting would be a good one to show up at. Bike Racks and Benches For Spokane Neighborhoods Competition. locations in the Pacific Northwest. Slideshow:- Earth-movers and plan designs. 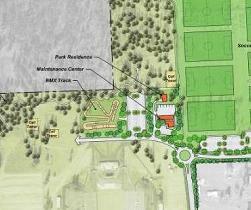 Video:- Will have several soccer fields and softball diamonds. gates Wednesday to see how the new facilities are coming along. The sound of heavy machinery rarely stops. The work area is immense. how much land it covers. most of the park should start to turn green. a splash pad and basketball court. open August of next year. A new BMX Race Track is coming to Spokane some time soon. A new blog spot on Google`s Blogger for the Spokane BMX Track. concessions building, restroom facility, and maintenance center. and Underhill parks and in the new Albi-Merkel neighborhood park. that will redevelop and enlarge a park near Joe Albi Stadium. amenities that will be built under future contracts. that examined the future of Joe Albi and surrounding land. neighborhood traffic concerns, delayed the project. Track to be. - But there is not to much to report. I hope this can help answer some or most of the emails that I have seen. going to be an ABA BMX Sanctioned track? or an NBL BMX track? likley that Spokane BMX Track may be monopolised too. Will the Spokane BMX Track be monopolised with the ABA BMX Sanction? with the NBL BMX Sanction? - Only time will tell, the track is not built yet. 2008 Olympic Games in Beijing, China . your everyday BMX racer could race on that track. bike on. There are not many BMX world Pro riders in the Great Northwest. both have BMX track lay outs that fit for everyday BMX racer/riders. BMX race tracks and that every youth BMX rider can ride on them. they are set up for the everyday BMX racer. some arena in the N.W. for a three day BMX event, Then they rip it out. race event in the Northwest would be something new and exciting for everyone. BMX National event, that Spokane would have built this BMX track by now. or BMX Recreational track would give the area youth something good to do. All other: Right now, all we know is listed on this Spokane BMX page. When and if we get more news reports - we will post them up. moderated the meeting and fielded questions. track from local BMX organizations, interested citizens and the ABA. the track will be a significant benefit to kids of all ages and skill levels. north and west of the stadium should be reserved for future stadium parking. Multipurpose Room to update all who are interested in the new BMX track. As of October 17th, 2008 there is not much news to report about Spokane BMX. Spokane BMX and the new BMX Track to be. - But there is not to much more. Summer 2009; new Soccer fields to be available Spring 2010. Nothing about BMX. Right now, That is all we know at Gene`s BMX.com. When and if we get more news - we will post it up. Spokane, Wednesday August 20th, 2008 at the Spokane Fairgrounds. 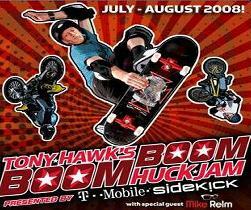 Also see: www.tonyhawk.com for information about Tony Hawk. the racetrack at a Thursday auction for the Spokane Raceway Park. spent $8,210,405 to acquire all parcels of the park. would need to use tax payers money to help in their auction bid. ranging from soccer fields to a BMX course. County actually paid less than our appraisal stated for these parcels." parking, paved access, and a maintenance facility. 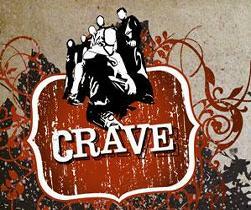 to be available late Summer 2009; new Soccer fields to be available Spring 2010.
called "Crave" at the Spokane Arena Thursday November 15th 2007 at 7 p.m. The event is free to all youth and young adults. - first come, first seated. park, a BMX bike course, play equipment, trails and improved parking. was approved by City voters in 1999 and subsequently held in reserve. So fare it looks like Spokane may be getting a BMX track! We will keep you posted as Gene`s BMX is watching this one. on property surrounding Joe Albi Stadium in northwest Spokane. write to the Council Member Rob Crow, City Hall, 808 W.
Spokane voters spoke - more than eight years ago. help this out. It would be cool to see a BMX track in the Spokane area. force to identify youth venues for lands around Albi Stadium in Spokane. a BMX course near Albi Stadium and building short courses around town? Has anyone from Spokane contacted you for info on this yet? have a good handle on. I would enjoy talking with you or others about this. me your phone # and I will call you. NOTE: Ongoing Postings Of What Is Happing In Forums Thread. would be nice if some BMX people showed up at this meeting. of the BMX community sit in for the upcoming meeting. the City of Spokane is going as far as considering building a BMX course. contact me about the meeting or with any questions. Park (just south of Francis on Market and Decatur) Spokane, Wash.
BMX Bike pegs must be approved for skatepark riding to reduce damage. The Hillyard Skate Park Is Still Open Today! ( Taking Design To The Extreme - April 06, 2001 ) = Archived. * A flyer photo from 1995 Spokane Inland Impire BMX. Spokane that was behind the Rosaurs suppermarket. Historical BMX Tracks List For Washington State = Spokane. history storys/photos and or anything Spokane BMX and would like to help out? Please send it to: Gene`s BMX.com and it will be added in. -- Thank you, Enjoy!